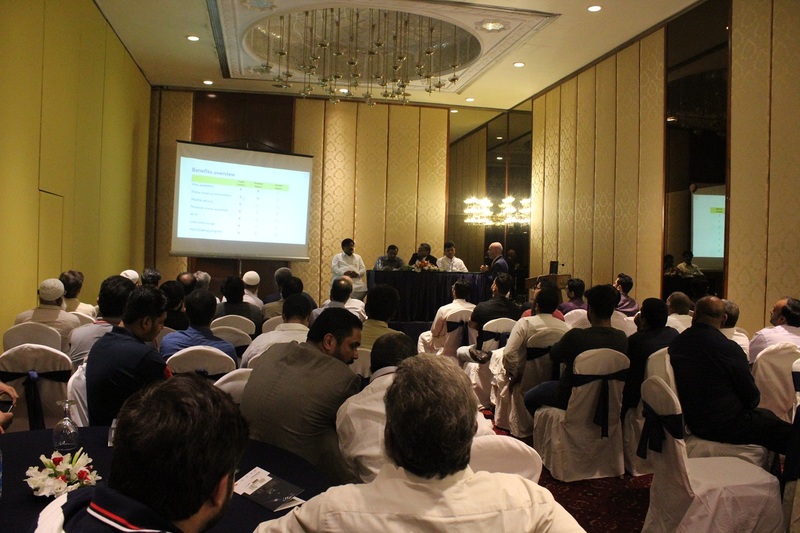 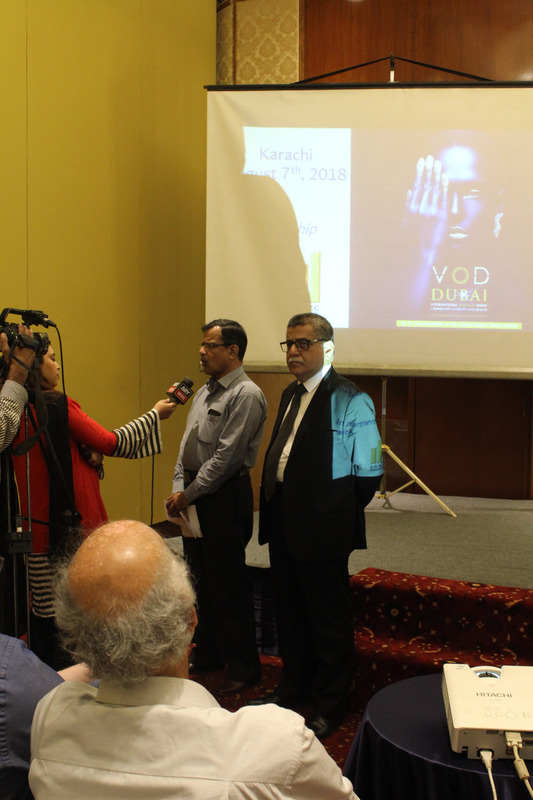 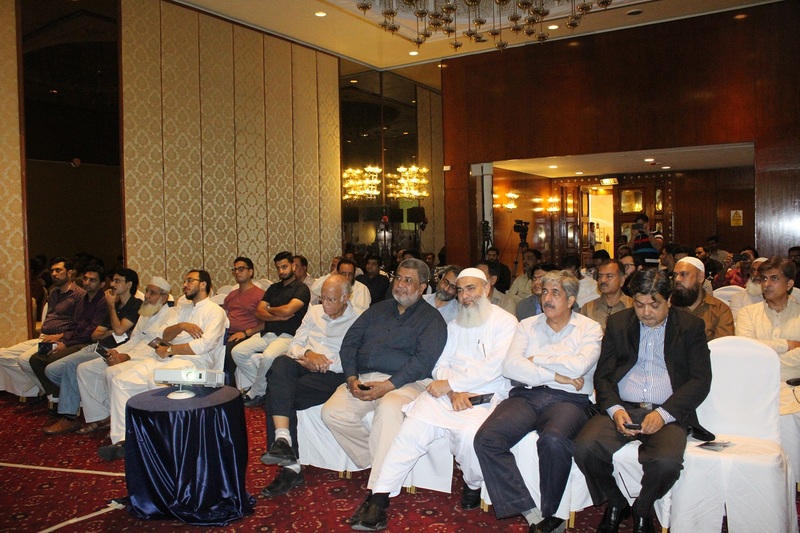 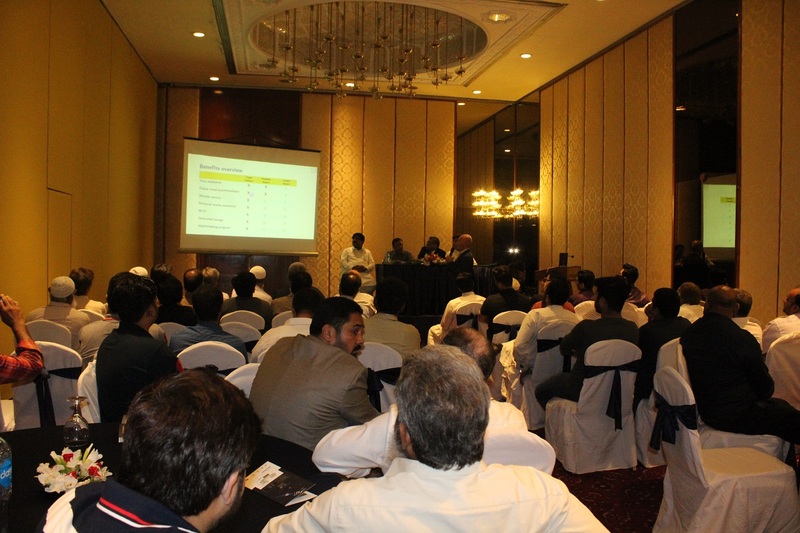 Gold & Gems Art Promotion Council of Pakistan (GGAPCP) in collaboration with the DV Global Link LLC, arranged two road-shows in Lahore and Karachi (August 06 & 07, 2018 respectively) to highlight the features and unique selling points of forthcoming VOD Dubai International Jewellery Show 2018 being held in Dubai (UAE) from November 14 to November 17, 2018 at the Dubai World Trade Center. 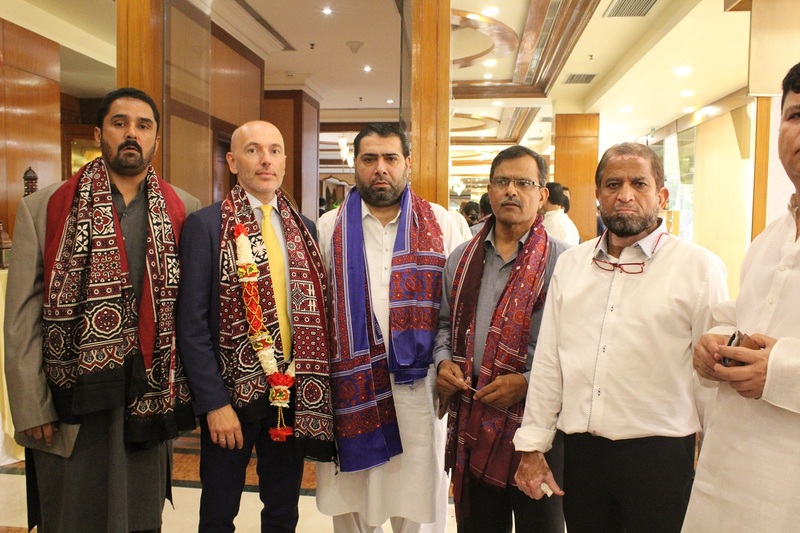 The Council had led a big delegation of businessmen attached with Jewellery to this show in November last. 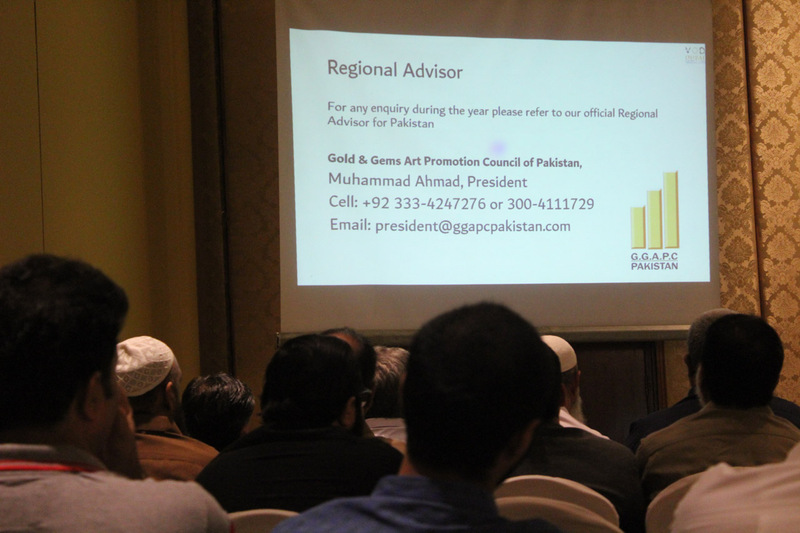 Gold & Gems Art Promotion Council is acting in Pakistan as Regional Adviser of the DV Global Link LLC since last two years. 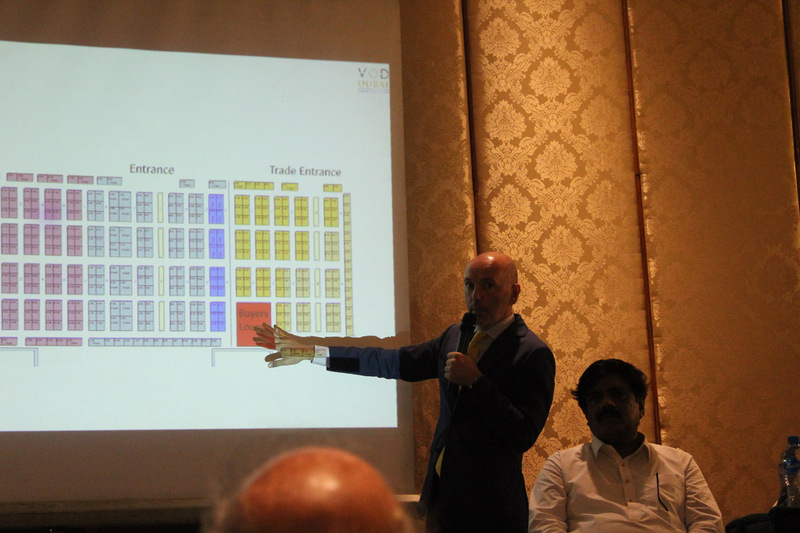 VOD Dubai International Jewellery Show’s Show Director Luca Veronesi giving a presentation to the participants at both these places said that top 500 + brands from 26 different countries have confirmed that VOD Dubai International Jewellery Show represents the best opportunity to source the finest Jewellery across the world as Traders from over 80 countries visit this show every year. 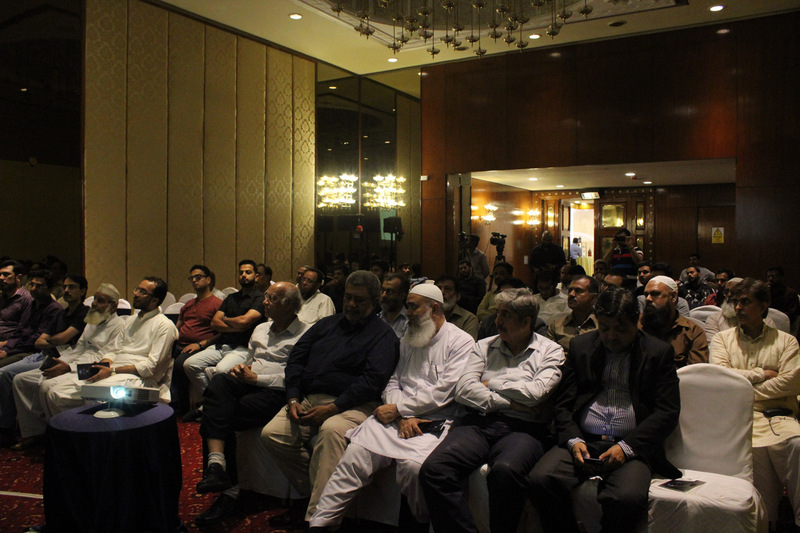 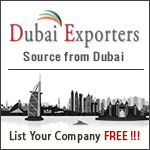 He said that once again world’s top brands in Jewellery will be converging at the Dubai Trade Center to cater to the needs of the Jewellers. 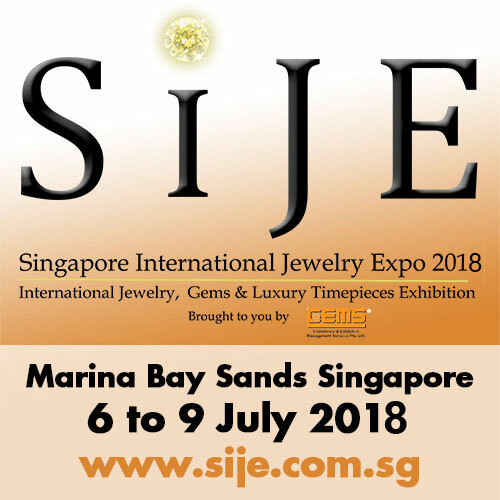 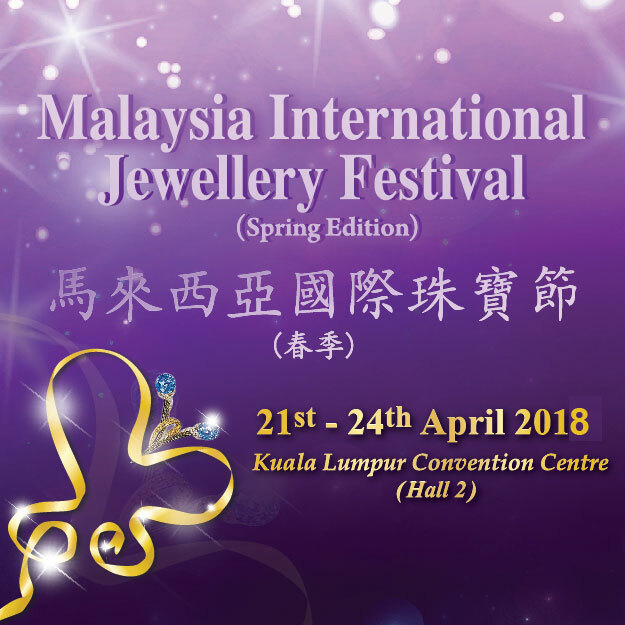 Besides it manufacturers of different hi-tech machines for the Jewellery sector will also be showcasing their latest machines at this event. 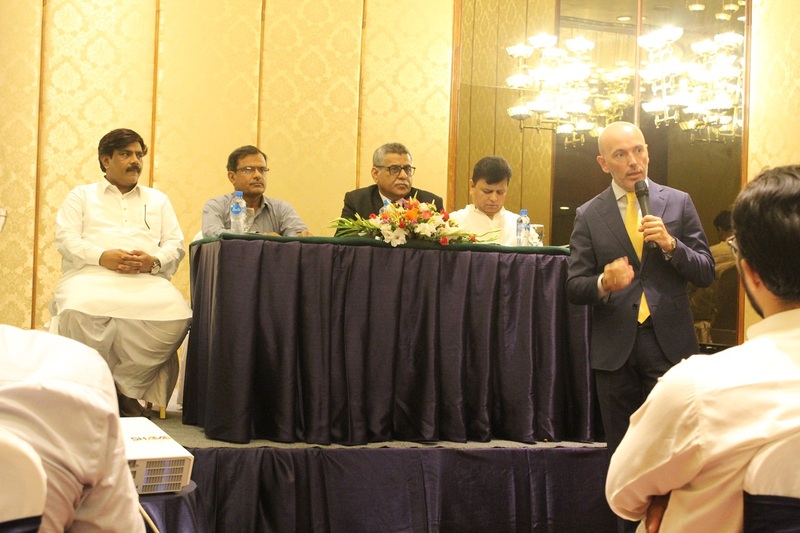 Luca Veronesi also announced a ‘hosted buyers’ programme for Pakistani Jewellers who wish to visit this event. 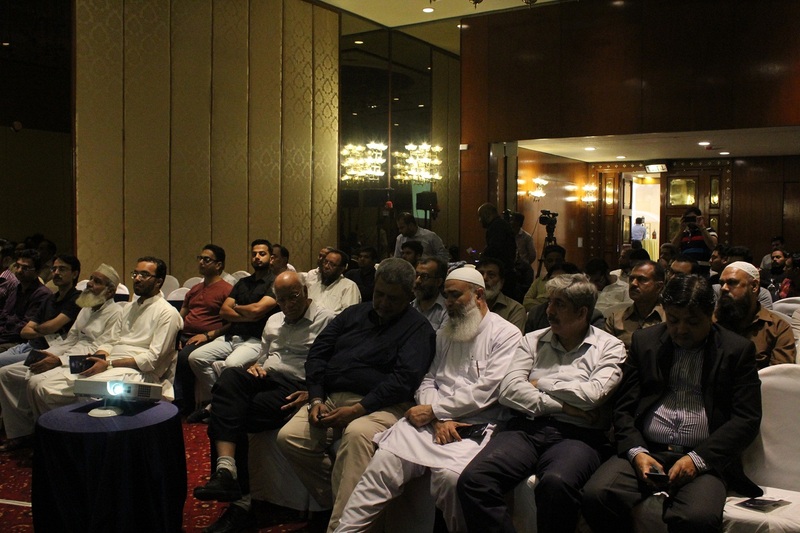 He threw light on the criterion of selection of jewelers under this programme and its advantages. 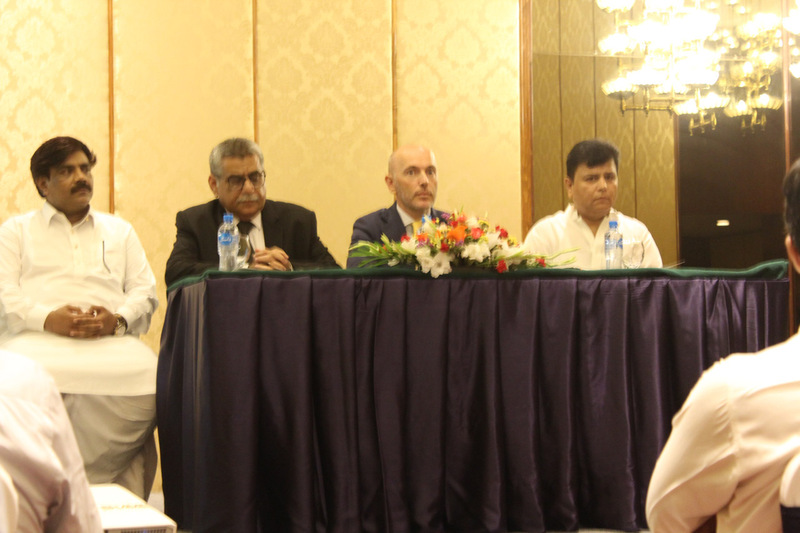 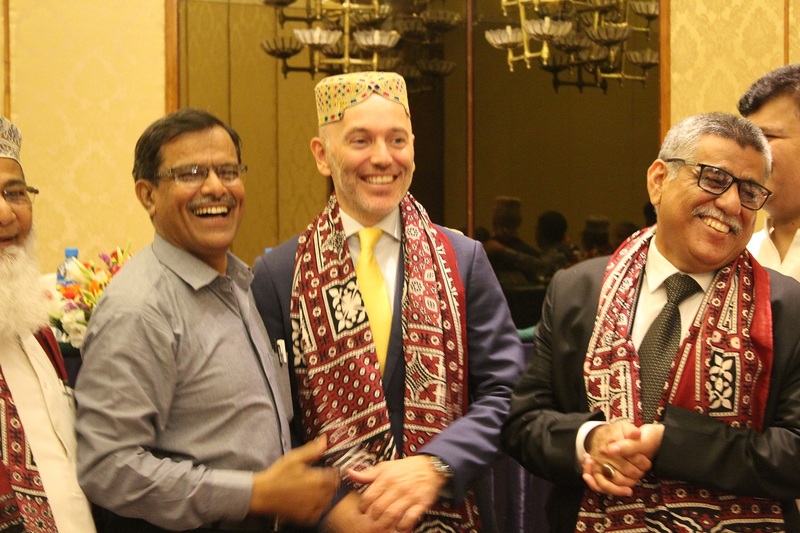 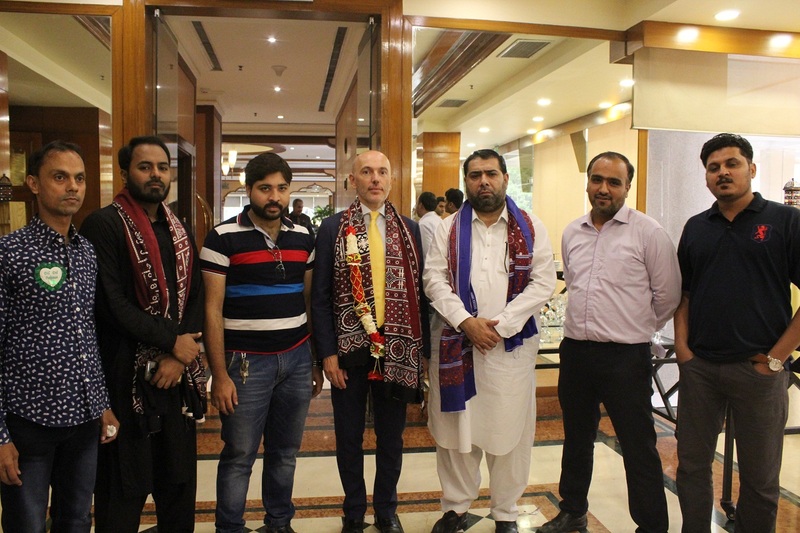 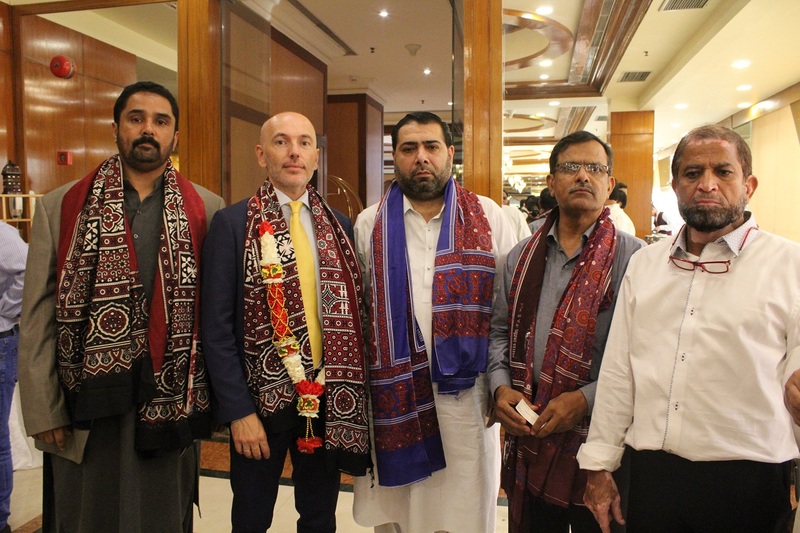 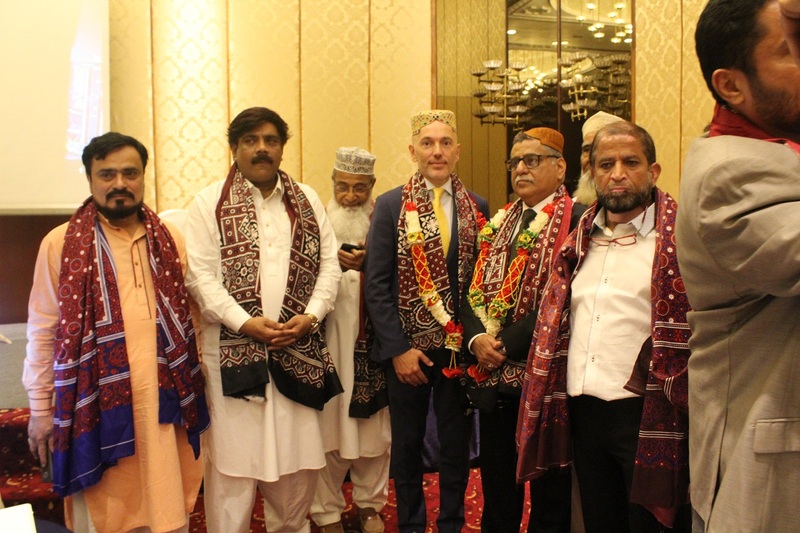 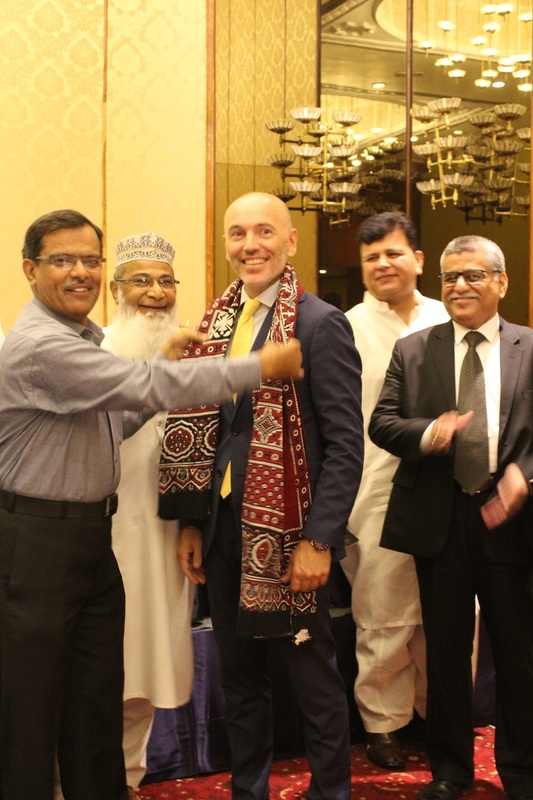 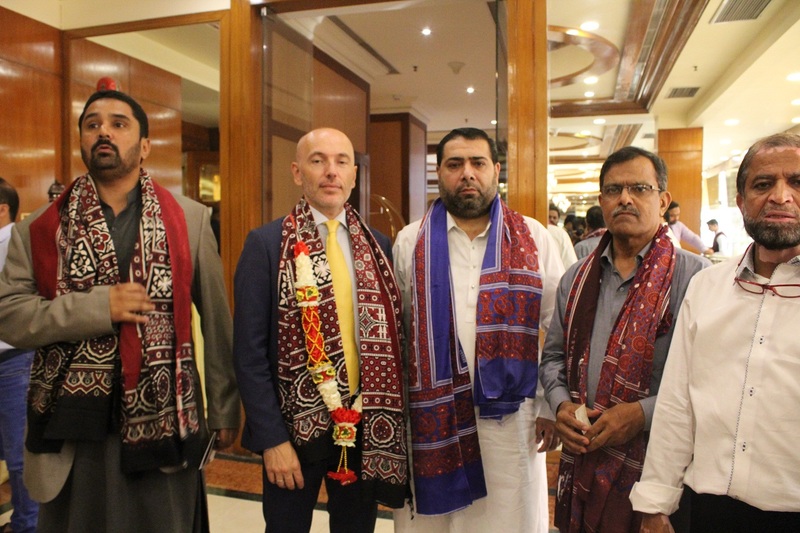 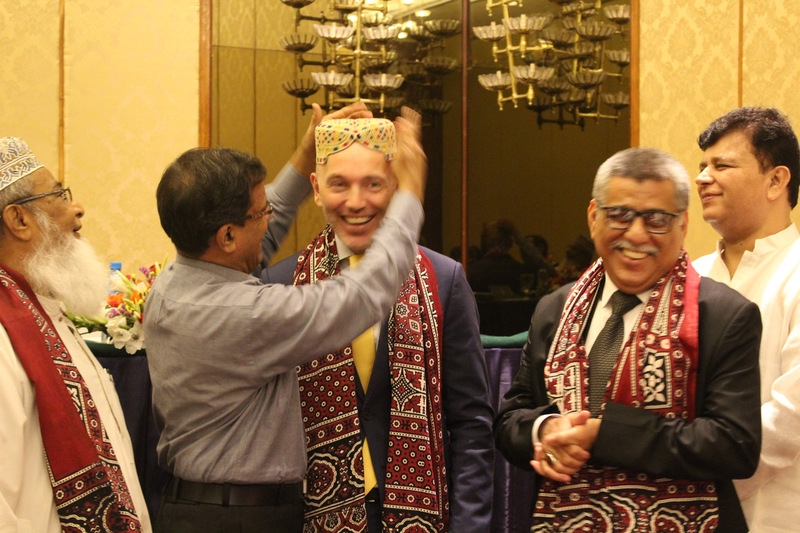 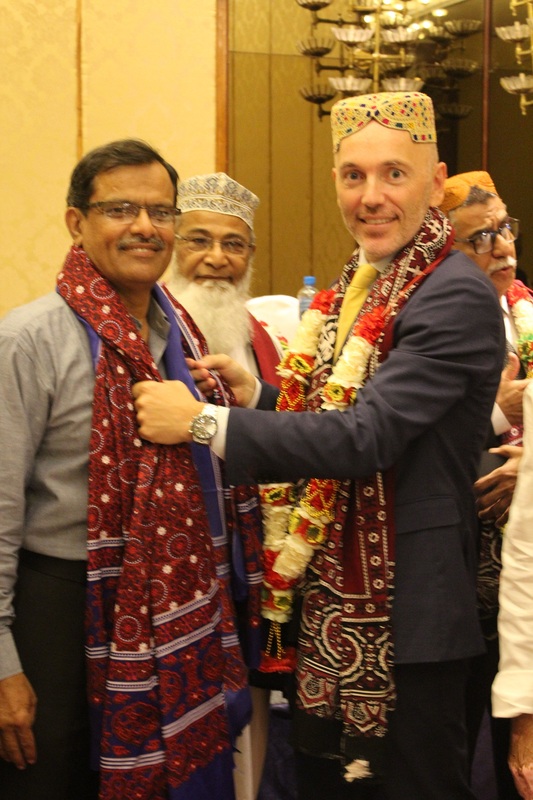 Deputy Trade Commissioner of the Italian Embassy A. R. Daudpota also graced the ceremony and expressed his pleasure that the Council was trying to bring new technology, design and other required skills for upgrading and capacity building of Pakistani Jewellery Sector. 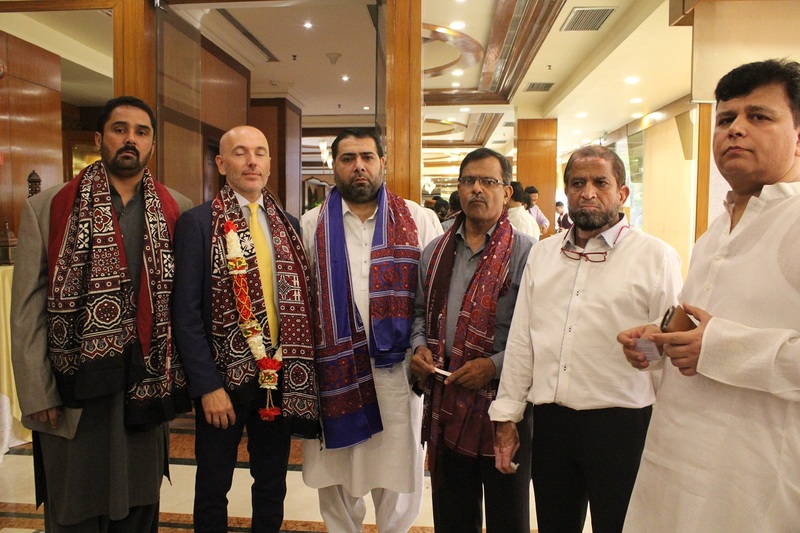 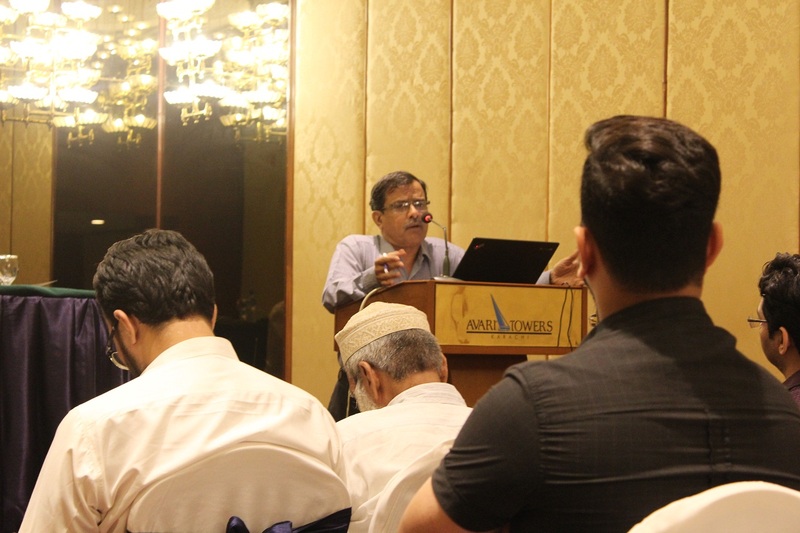 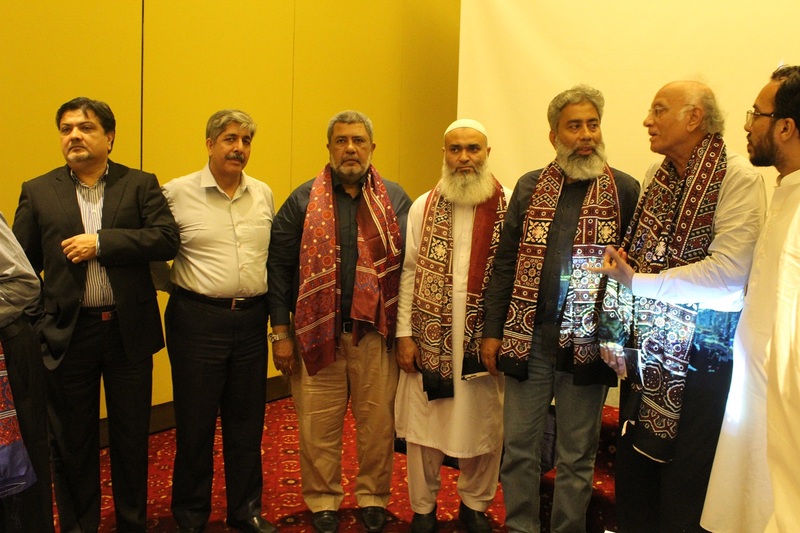 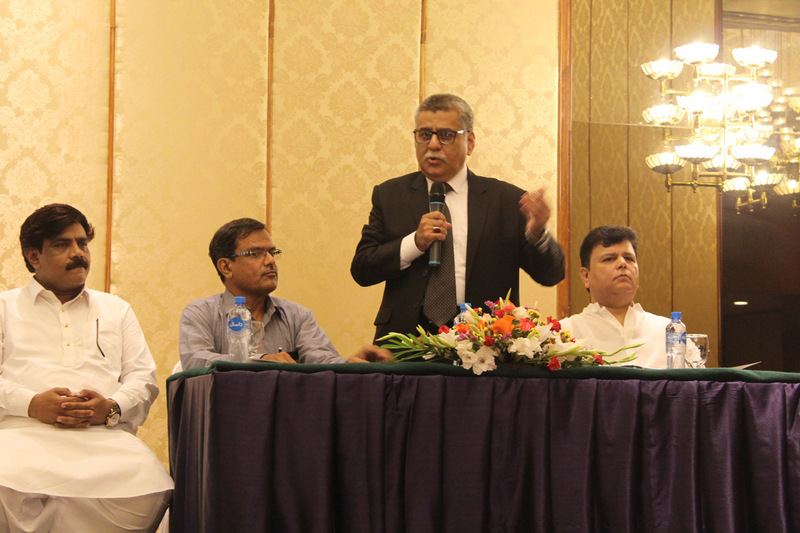 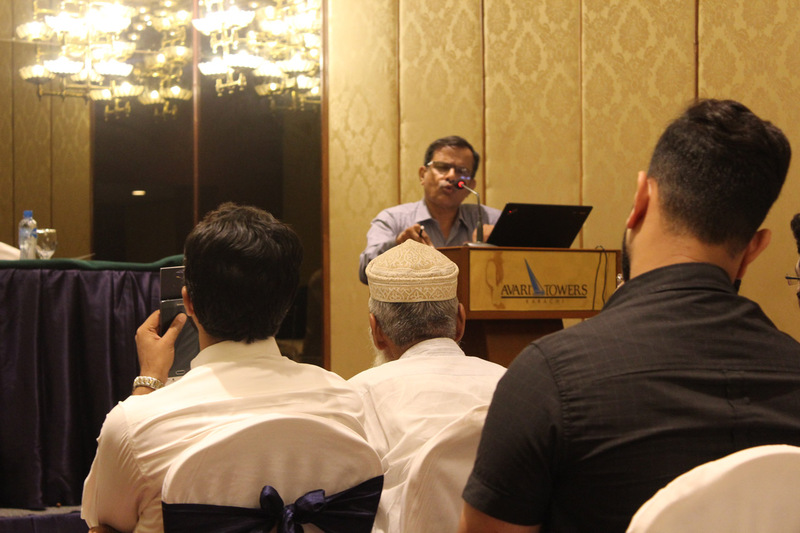 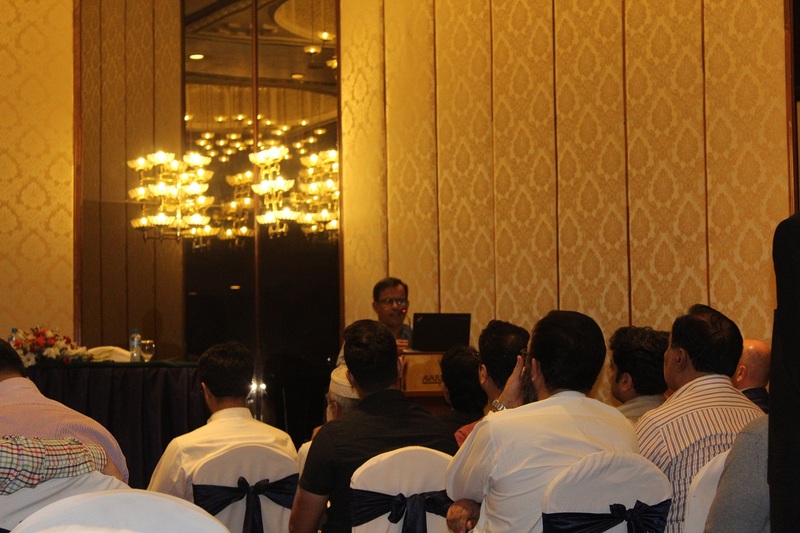 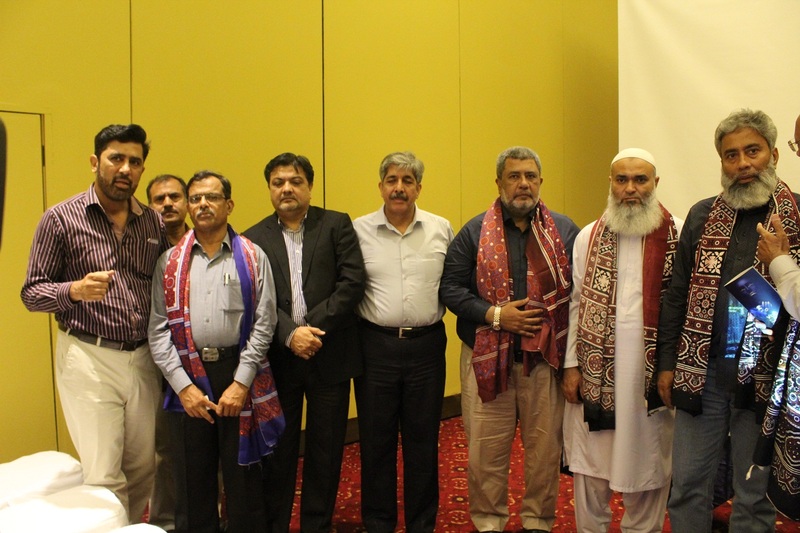 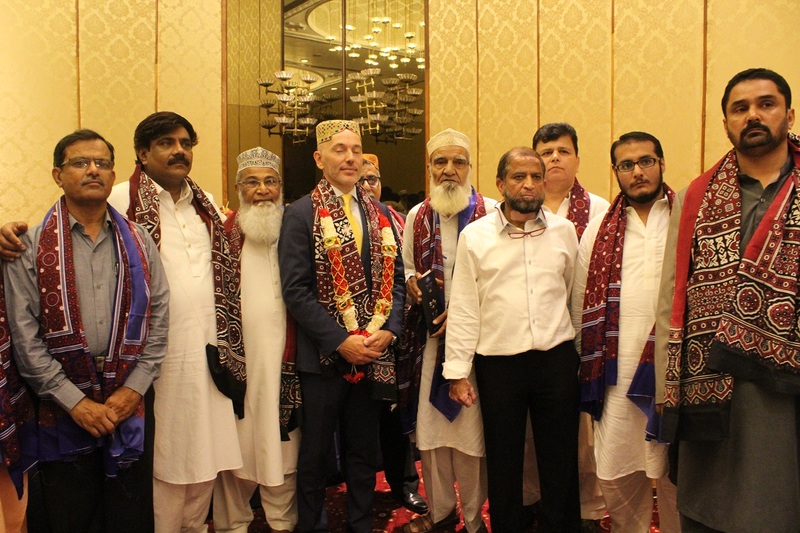 GGAPCP President Muhammad Ahmad warmly welcomed the participants of the road-show and said that they had led a 42-member high profile delegation last year to the same exhibition and all the participants were satisfied with the quality and innovation of Jewellery presented at the event. 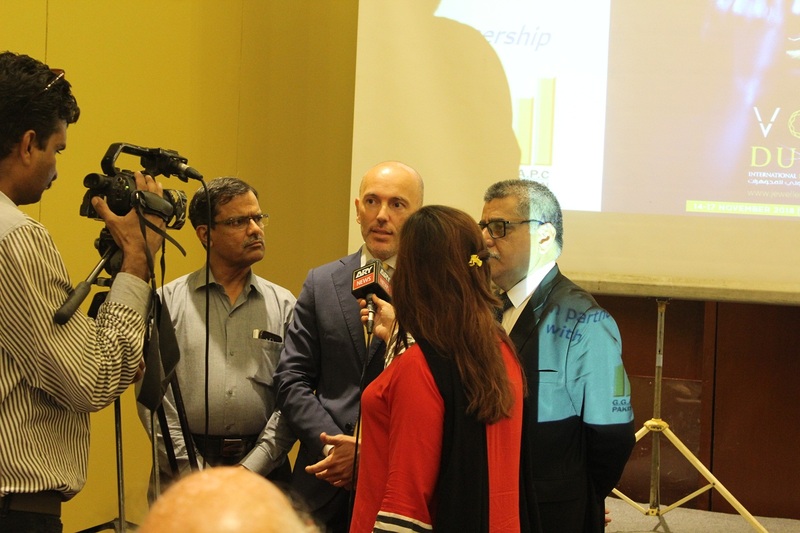 He urged the participants to visit this event to expand their horizon and get firsthand knowledge about the developments taking place in the international market. 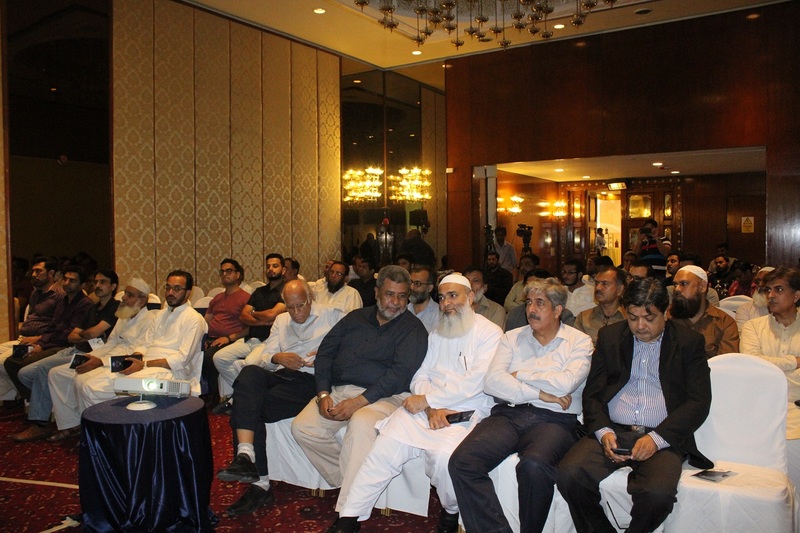 In Lahore leading name of Jewellery Trade such as Rana Nadeem Aleem Vice President Jewellery Sector GGAPC Pakistan, Dilawar Ali Additional General Secretary, Shahid Mahmood Vice President, Saqib Ishaq Secretary Information & Coordination were present. 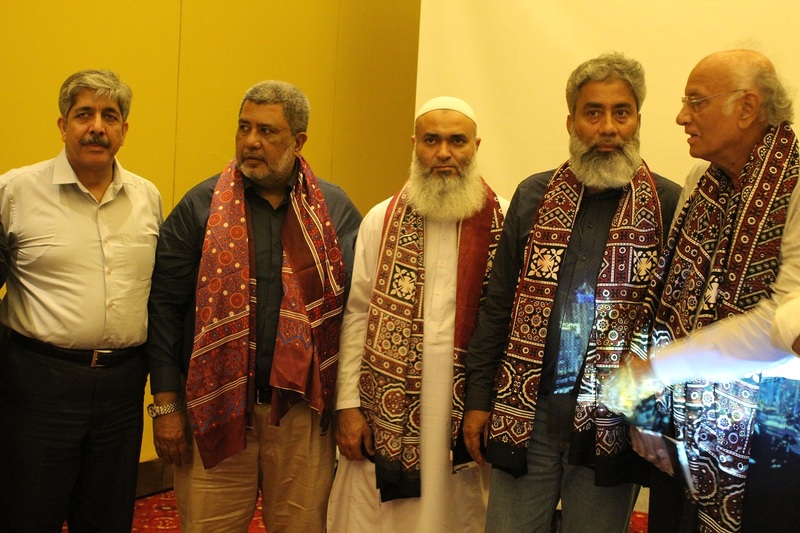 While in Karachi Haji Haroon Chand President All Sindh Sarafa & Jewellers Association, Siddique Bhai Zonal Chairman GGAPCP Sindh, Sohail Ismail Senior Vice President GGAPC, Muhammad Arshadand others participated in the meeting.